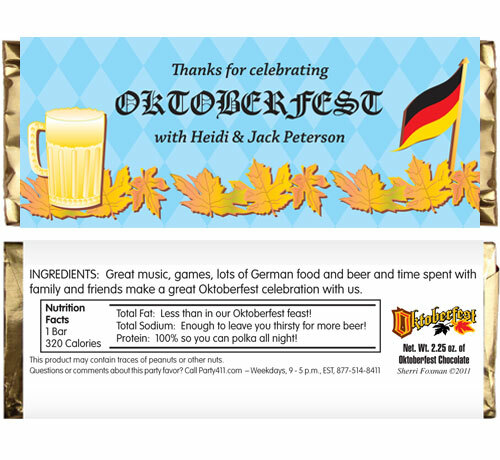 An Oktoberfest theme candy bar wrapper is a great party favor. 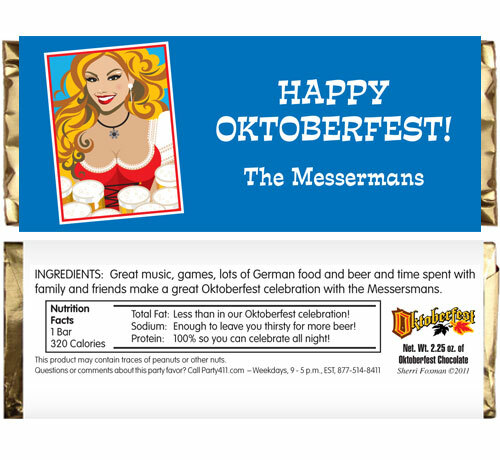 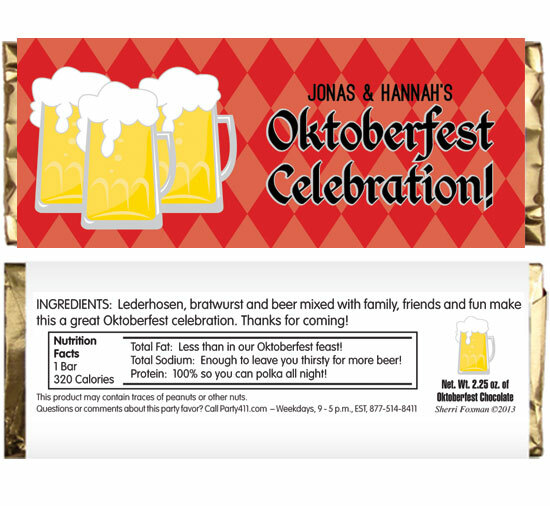 Send your guests home with a personalized Oktoberfest candy bar wrapper. 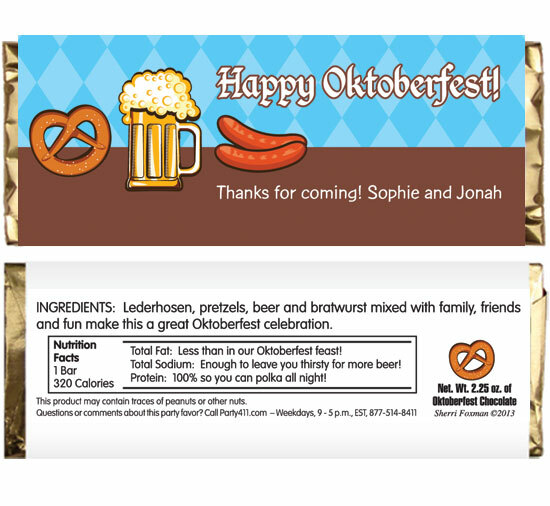 Personalized Oktoberfest candy bars are a great party favor. 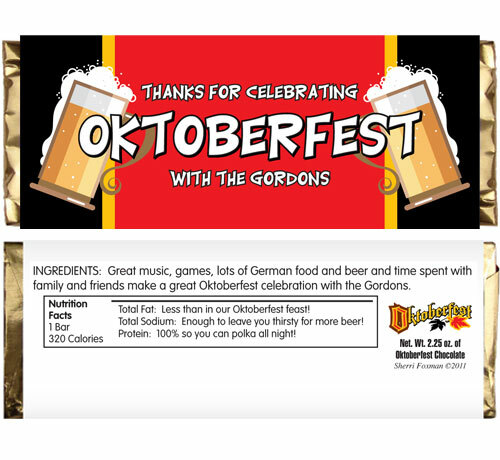 An Oktoberfest feast candy bar wrapper is a great party favor. 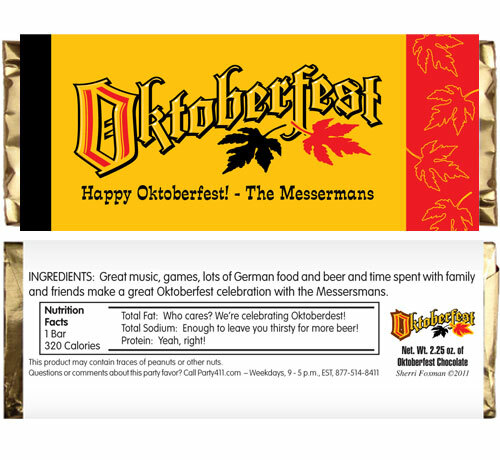 Oktoberfest candy bar wrappers are a great party favor.